Home / Birkin bag / Hermès / Jane Birkin / misleading use / revocation / Je t'aime ... Moi non plus: Can Jane Birkin actually require Hermès to rename the Birkin bag? 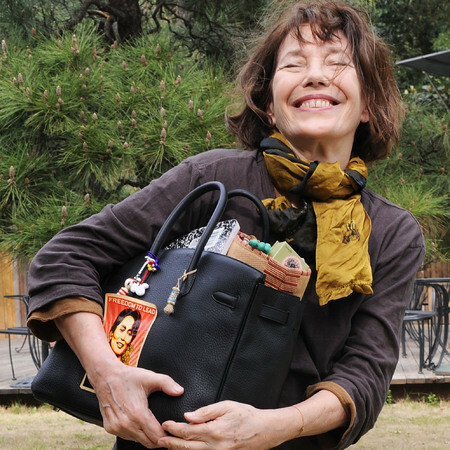 Je t'aime ... Moi non plus: Can Jane Birkin actually require Hermès to rename the Birkin bag? Like all icons, also the iconic Birkin bag has a history that is a mix of chance and inspiration. As explained by the relevant Wikipedia entry, it all began in 1981 when Hermès chief executive Jean-Louis Dumas was travelling next to actress and singer [how to forget this?] Jane Birkin on a flight from Paris to London. Ms Birkin had just placed her straw bag in the overhead compartment of her seat, when the contents fell to the deck. 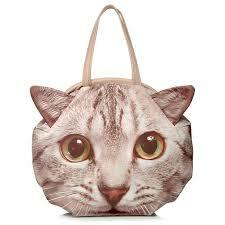 She told Mr Dumas how difficult it was to find a weekend bag she liked. Apparently this plea for (fashion) help was irresistible to Mr Dumas, who in 1984 created a black supple leather bag for Ms Birkin, based on a 1982 design. What happened next is history, as there is probably no fashion enthusiast who is unaware of what a Birkin bag looks like, and how exclusive it is to own one. 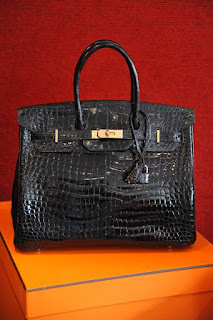 "Having been alerted to the cruel practices endured by crocodiles during their slaughter for the production of Hermès bags carrying my name …, I have asked Hermès Group to rename the Birkin [apparently not the Birkin as such, but only the croco version] until better practices responding to international norms can be implemented for the production of this bag." While Hermès also issued a statement in which it promised to investigate further the farm implicated in the PETA video, one may wonder whether from a legal standpoint this iconic French fashion house may be actually required to change the name of its equally iconic bag. Besides possible contractual arrangements in place between Hermès and Jane Birkin, could IP law play any role? Based on a quick search on TMview, Hermès successfully applied to register 'Birkin' as a French trade mark in Classes 16 and 18 of the Nice Classification back in 1997. One question that may arise at this stage is whether the fact that the person after which a certain good is named no longer wishes to be associated with it can represent a ground, eg misleading use, for revocation of the relevant trade mark. Among the grounds for revocation, Article 12(2)(b) of the Trade Mark Directive includes the situation in which a trade mark, in consequence of the use made of it by its proprietor or with his consent in respect of the goods or services for which it is registered, is liable to mislead the public, particularly as to the nature, quality or geographical origin of those goods or services. Although the list in Article 12(2)(b) is not exhaustive, it would appear that mere subsequent lack of endorsement from a person after whom a certain good is named may not be sufficient to have a trade mark revoked. This would be so especially on consideration that Jane Birkin appears to have never been actually involved in the design and/or production of the Birkin bag. Similarly to other instances, eg the Mulberry Alexa (named after Alexa Chung) or Dior's Lady Dior (named after Diana Spencer) [see here for further examples], the Birkin bag was not the result of a collaboration between Hermès and Jane Birkin. And even if this had been the case, perhaps it would not make much difference either. In its decision in Elizabeth Emanuel [not just Lady Diana's very romantic wedding gown designer, but also owner a relevant Community trade mark who had assigned it, together with her business, to a third party] the Court of Justice of the European Union held in fact that, even if the average consumer might think that Elizabeth Emanuel was still involved in the design of the relevant goods even after the assignment of her business and trade mark, this would not be misleading as to the nature of quality of the relevant goods. As such, it would not be sufficient to have a trade mark revoked on grounds that its use is misleading. All in all, it would appear that - besides asking - Jane Birkin could not really request Hermès to rename the Birkin bag, whether as such or even just its croco version. But what do readers think? Personality rights? According to French case law, there's always an inalienable core when it comes to image rights, name rights, etc. Passing off - false endorsement/association ? Eddie Irvine and Rihanna cases ? Not a chance. Does anyone ACTUALLY believe Jane Birkin is in any relevant way connected to the HERMES bag? No-one outside her legal team. Does she have a reputation in relation to clothing design ? Not that I'm aware of. Her own line? Not that I know of. Do they use imagery of Jane Birkin to sell the product? Not that I'm aware of. If she wants to be a pain post more stories about this so that anyone looking up Birkin bag finds stories about the allegedly horrible ways that they are made. Perhaps Peta could have a bag described as being designed by Jane Birkin which has on it (in the style of Anya Hindmarsh). Given the furore over Cecil, one wonders how long it is until Peta suggest that all handbags should be called the CECIL - a disgusting trophy to demonstrate wealth. Mrs. Birkin would certainly have grounds to object if the bag were now to be made of Birkin skin. How many other critters have already surrendered their hides over the last three decades to make these bags? How many tons of toxic chromium salts were released in the environment? Has she never set foot in an abattoir, or even look at pictures? How about the abbreviated life of calves, who are taken from their mothers to keep the milk industry going. Her belated tears have a certain crocodilian quality.